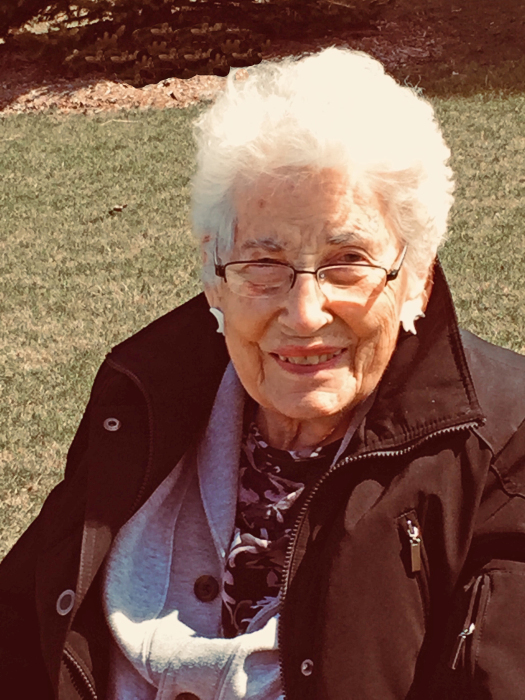 Doris “Dorrie” Alff (nee Busse), 91 died peacefully on Friday, January 25, 2019, at her home in the Cedar Community Cottages in West Bend, WI. She was born on January 13, 1928 to the late Joseph and Edith (nee Way) in Madison, WI. Doris Busse graduated from Madison East HS in the spring of 1945. She then attended UW-Madison where she met her husband, Norman Alff. They were married May 31, 1947 (in Madison, WI) and raised (4) children in Janesville. Dorrie and Norm were active members of the Janesville community for 49 years before retiring to West Bend in 1999.
. In the late 60’s, Dorrie worked for the Rock County Headstart Program. In 1969, she became the director of The Janesville Community Day Care Center and held that position for 3 years. After receiving her Master’s Degree, she became a Parent and Professional Early Childhood Educator for Blackhawk Technical Institute. She left this position June of 1984 to enjoy retirement with Norm. Dorrie received her BS degree with honors in Preschool -Kindergarten Education from the UW-Madison in 1973 and her Master of Education-Professional Development with honors in1980 from the UW-Whitewater. The YWCA Honored Dorrie with the Woman of Distinction Award (Education Category) in l987. Dorrie was very active in the United Church of Christ (UCC) throughout her life. She served the church in many capacities at the local, state and national levels. She was also an active member and held leading roles positions in many other organizations, including: PTA, YWCA, the Wisconsin and the National North American Manx Associations, The Janesville Herb Society and Rotary Botanical Gardens. Dorrie was an accomplished gardener and naturalist who readily shared her knowledge with others. She enjoyed photography, homemaking,, travel, genealogy studies, singing in the choir, hiking and camping. Dorrie was a true artist when it came to arranging flowers. She made beautiful fresh and dried arrangements. Dorrie and Norm retired to Cedar Lake Community in West Bend in 1999. She made many new friends during their 20 years there and was able to continue enjoying her hobbies. Dorrie started and maintained with help an herb garden at Heritage House. She also taught classes at Ye Old School; a one-room school visited by local students. Her favorite pastime, however, was studying and helping to care for the Prairie and Trails throughout Cedar Community. This world is a better place because of her involvement and caring actions. Dorrie will be missed by family, friends and the communities in which she lived. Those Dorrie leaves behind to cherish her memory include her four children, Greg (Jeanette) Alff of Bozeman, MT, Kit Alff and Scott Matteson of Kearney, NE, Carrie (Dave) Anderson of Janesville, WI, and Andy (Anne) Alff of Pflugerville, TX; seven grandchildren; nine great-grandchildren; three foreign exchange students that lived with Dorrie and Norm; and many nieces, nephews, other relatives and friends. In addition to her parents, Dorrie is preceded in death by her loving husband, Norman Alff; four sisters, Francis (Mike) Remeika, Ethel “Gerry” (Gilbert) Gapp, Irene (Duke) Hanson, Ruth (Kenneth) Robbins; two brothers, Robert Busse, and Clarence “Hap” (Marion) Busse; and a brother-in-law, Roger (Betty) Alff. A Celebration of Life Ceremony in remembrance of Dorrie will be held on Monday, May 13, 2019 at 11:00 a.m. at Immanuel UCC Church in West Bend. A light lunch will follow the service at the Church. Her family will commit Dorrie’s ashes to the Memorial Garden in Cedar Community at 2:00 p.m. The family will greet relatives and friends at the church on Monday from 10:00 a.m. until the time of service. In lieu of flowers, memorials to the following organizations that were meaningful to Dorrie would be appreciated by her family. The Myrhum Patten Miller & Kietzer Funeral Homes have been entrusted with Dorrie’s arrangements. Additional information and guest book may be found at www.myrhum-patten.com.